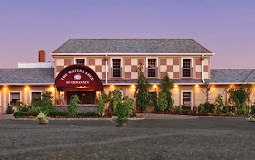 Meet with alumni in Fairfield County for a fabulous evening at The Waters Edge at Giovanni's in Darien (2748 Boston Post Road, Darien, CT - Just off Exit No. 9 in Stamford). Be sure to bring your business cards for a raffle of exciting prizes. Please follow the steps below to RSVP and to purchase tickets. All CUCFC events are pre-paid. Olga Kemmerlin at 73 River Road, Weston, CT 06883. Each year the Columbia University Club of Fairfield County sponsor's approximately 36-39 Book Awards that are presented to students at several high schools throughout the 24 cites and towns in Fairfield County. This activity serves to stimulate improved reading habits; encourages increased applications to, and acceptances at Columbia University; and it further assists in keeping Columbia University as an active presence in the Fairfield County community. Each book costs approximately $33.00 and we present between 36-39 books annually. Many other Ivy League universities also participate in Book Award presentations annually. Unfortunately, the Columbia Club of Fairfield County, CT may need to cut this very worthwhile program unless Columbia alumni come forward now and generously assist the Club by funding the Book Award Program. Please make a check payable to CUCFC for one or more Book Award books. You may pay by check in advance of the Feb. 19th event or bring the check with you and give it to Claire Nathan. Thank you.